I hope we all agree, 2015 was not bad at all! Thank you for another great year! I haven't been blogging as much. But my Instagram account @ivanhenares is alive and kicking. In April, Ivan About Town turned ten! I can't believe I've been blogging for a decade now. In 2010, I became one of the first, if not the first blogger, to visit all provinces of the Philippines. 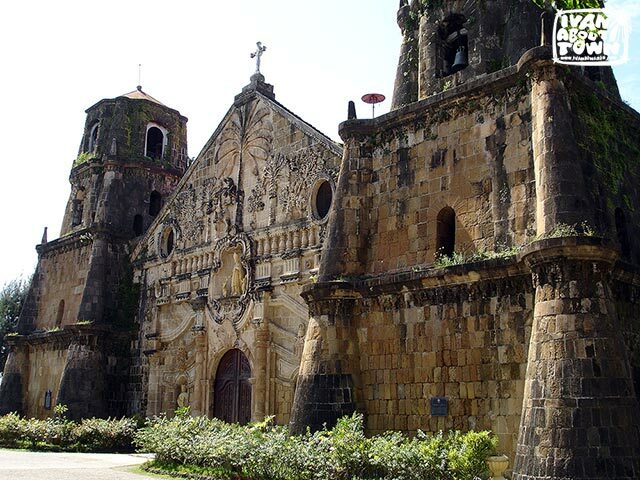 This year, I revisited 13 of the 18 regions of the Philippines. I chose my 25 best Instagram photos from around the world. Now I picked 25 of my favorites from the Philippines for 2015. And here they are! Look who we met today at the Philippine Eagle Center in Davao City. Fighter was a victim of a gunshot wound in Mati, Davao Oriental. So one of his wings is amputated. Unfortunately, the hunter was not identified & brought to justice. View of Laguna de Bay and Alligator Lake from my room this morning at the Philippine High School for the Arts in Los Baños, Laguna. Magandang umaga! Continue to the 25 best Instagram photos from around the world. 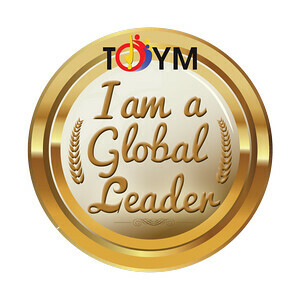 This year, my international travel included trips to Malaysia, Qatar, the United Arab Emirates (Dubai, Sharjah, Ajman, Umm al-Quwain, Ras al-Khaimah, Abu Dhabi & Fujairah), Cambodia, Vietnam, Thailand, Bhutan, Hong Kong, Italy, the Vatican City, France, Monaco, Switzerland, Liechtenstein, Germany, Austria, Slovenia, Croatia, Brunei, Kenya, Seychelles, India, and repeat trips to Dubai, Sharjah, Thailand and Hong Kong later in the year. It's so difficult to pick the best memories from Instagram photos from around the world. I picked 25 of my favorites. And here they are! I made a separate entry for the 25 best photos from the Philippines. Sultan Abdul Samad Building, in front of Merdeka Square, Kuala Lumpur, Malaysia, was built between 1894 to 1897 to house several government departments of British Malaya. It now houses the Ministry of Information, Communications & Culture. Al Zubarah Fort, a historic military fortress in Qatar, was built in 1938. It's part of the Al Zubarah Archaeological Site, a World Heritage Site. The walled coastal town of Al Zubarah flourished as a pearling and trading center in the Arabian Gulf. You haven't been to Dubai if you don't try the Dubai Desert Safari. Dune bashing is like going on a wild roller coaster ride without tracks! Gate of Al Jahili Fort in Al Ain, Abu Dhabi, UAE. Built in 1890 by Sheikh Zayed I, his grandson, UAE founding father Sheikh Zayed bin Sultan Al Nahyan, may have been born here in 1918. Sunrise at Angkor Wat! Good morning from Siem Reap, Cambodia! We woke up really early to see this fantastic view. I hope I don't doze off at the conference later. Saigon Central Post Office in Ho Chi Minh City, Vietnam is a popular destination for visitors. Yes, sending postcards and letters to family and friends still happens even with the Internet. And I noticed it has a radiant layer of fresh paint! Butter lamps made from yak butter burn at a small shrine near the Taktshang Monastery in Paro, Bhutan. Butter lamps are a conspicuous feature of Tibetan Buddhist temples and monasteries throughout the Himalayas. In Tuscany, Italy, sunflowers reach peak bloom in the middle of July. Visitors travel to Italy for scenic drives and bike rides through the Tuscan countryside to view the endless sunflower fields. St. Leodegar im Hof (Church of St. Leodegar) with its tall steeples is a landmark of Lucerne, Switzerland. Lucerne is a picturesque city by the lake. The Historic Centre of Graz, Austria is a World Heritage Site. Hallo aus Graz! Glavni trg is the main square of Maribor, Slovenia. In the square are Maribor Town Hall and the Plague Memorial (Kužno znamenje), a monument erected by pious burghers in gratitude for the end of a 1680 plague. Dober dan iz Maribora! The Gornji Grad (Upper Town) of Zagreb, Croatia. Banski dvori, along with the Baroque mansion beside it, is the seat of the Government of the Republic of Croatia. Since 1734, the Croatian Parliament has taken up the east side of St. Mark's Square. Venice, Italy never fails to impress me. It was a fantastic two weeks in Europe. Thanks Dad! Pelicans and flamingos at the Lake Nakuru National Park in #Kenya. 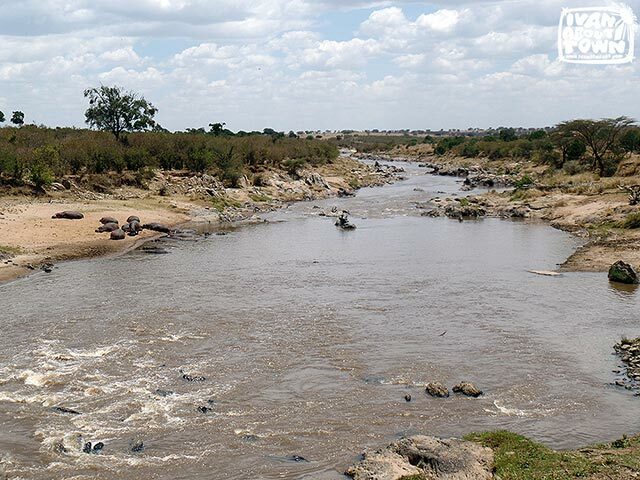 Lake Nakuru is part of the Kenya Lake System in the Great Rift Valley, a World Heritage Site. There are nine subspecies of giraffes scattered around Africa. We saw several herds of Rothschild's giraffes at the Lake Nakuru National Park in Kenya. In Maasai Mara, the Masai giraffe is more common. Amboseli National Park in Kajiado, #Kenya has an Observation Hill that offers a fantastic 360° view of the park. It also has a great view of Mount Kilimanjaro. But it was covered by clouds when we were up the hill. Cloudy day in Hong Kong today. Just had my fix of Tim Ho Wan's Baked Buns with BBQ Pork! 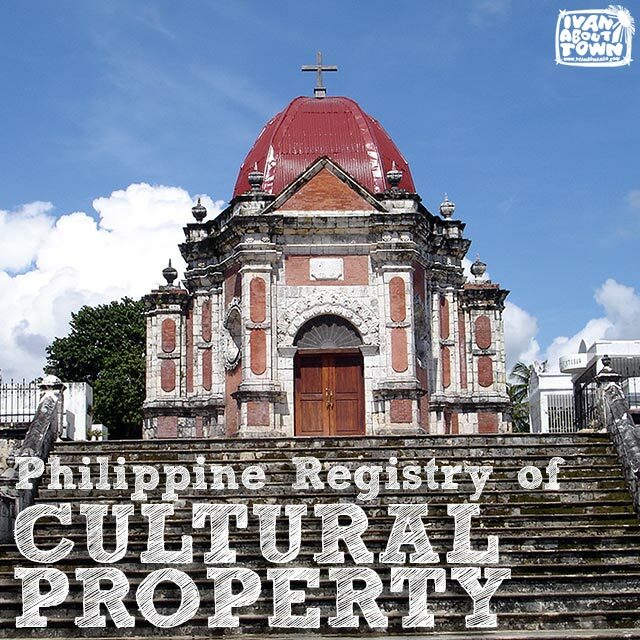 Continue to the 25 best Instagram photos from around the Philippines. 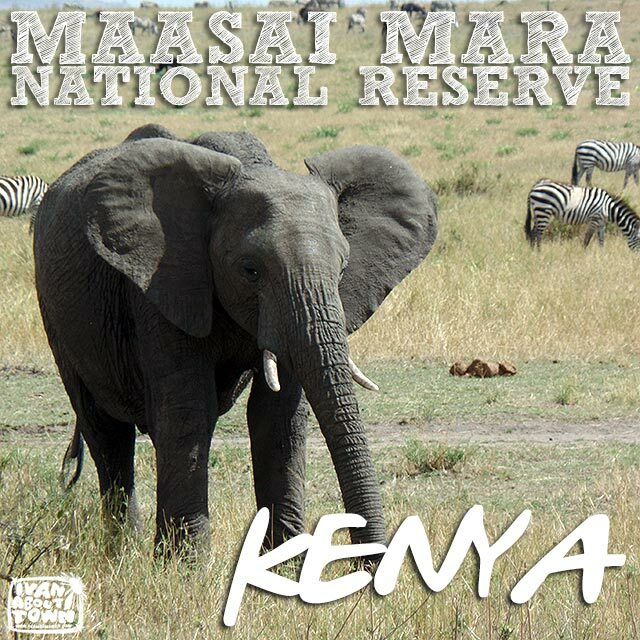 Maasai Mara National Reserve in Narok, Kenya is a fantastic place to see African wildlife, being the center of the Great Migration, the annual migration of millions of animals to and from the Serengeti National Park in Tanzania. 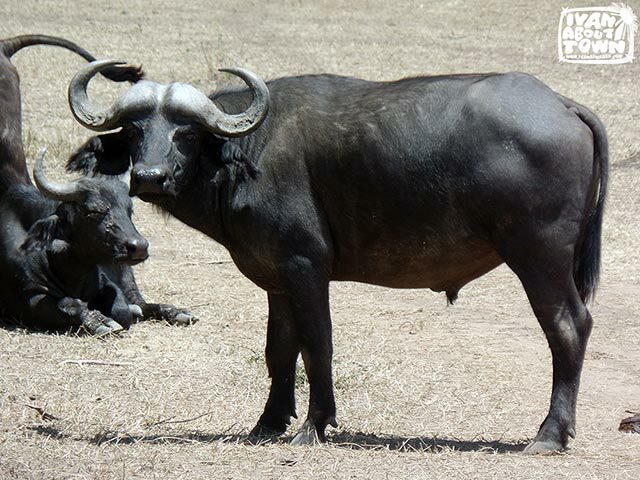 In fact, it is estimated that 1,300,000 wildebeest, 500,000 Thomson's gazelles, 97,000 topis, 18,000 elands, and 200,000 zebras undertake this annual journey between July and October. The park also has an exceptional population of lions, leopards and cheetahs. Getting there is a challenge and close to impossible using public transport. 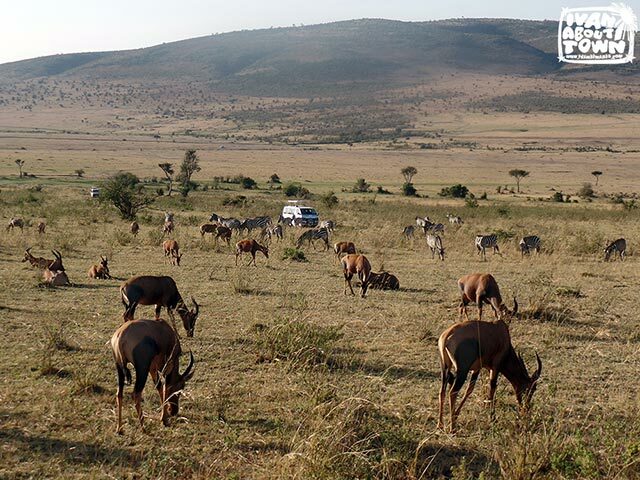 Which is why the best way to experience Maasai Mara is by joining a safari tour. You will definitely need a vehicle to explore the park. Walking around the park is not allowed for obvious reasons. Game drives are the only way to explore the reserve. They usually start early in the morning and end late in the afternoon. So expect an exhausting but exciting day traveling around the highland savannas of the reserve. We left shortly after an early breakfast to catch nocturnal animals that were about to get some sleep. Almost immediately, we saw impalas, buffalos, hartebeest, zebras, and lions among many others. 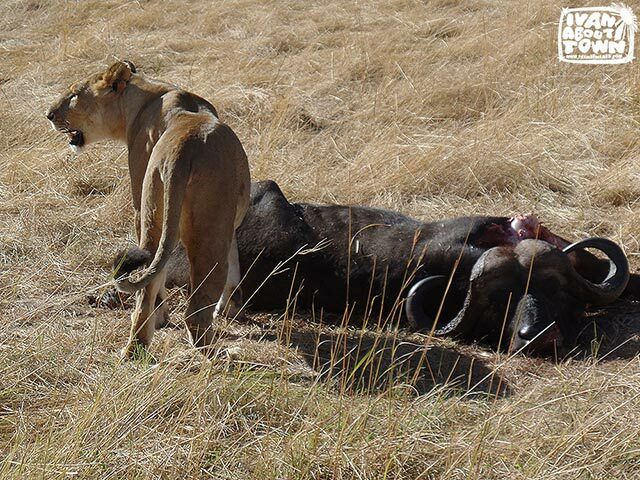 In fact, we found a lion pride that was feasting on a buffalo they had just killed most probably the day before. You could smell the stench of death as vans got really close. But this was a rare experience, a few minutes of discomfort and awe. We also had our first ostrich sightings, and got up close and personal with one. 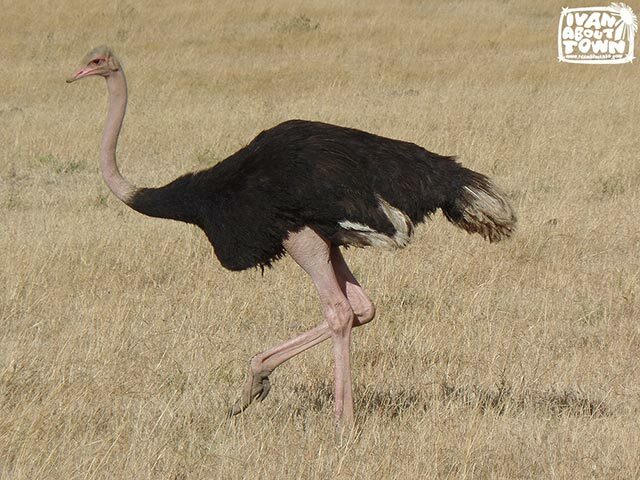 It was amusing watching the ostrich walk. But mind you, they run very fast and can be aggressive when threatened. 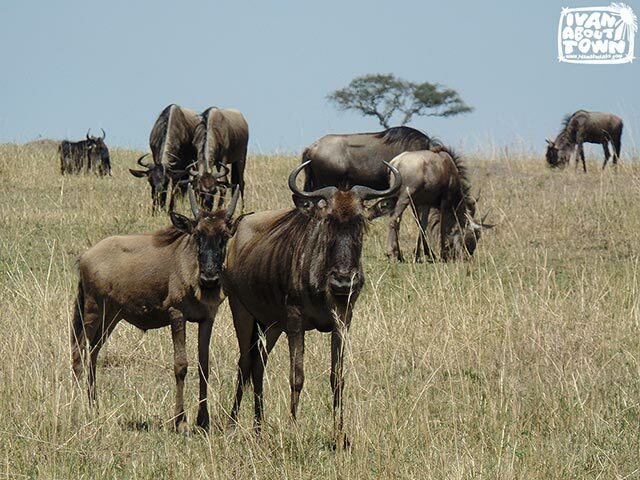 Wildebeest are the most common animals in Maasai Mara. I finally got to see a gnu! The guides are well-trained. 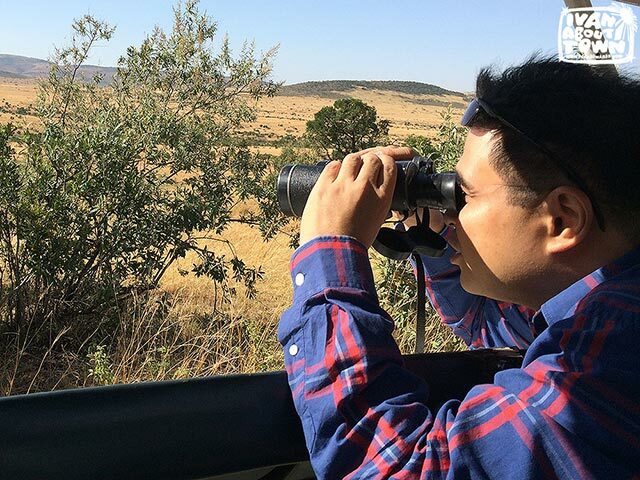 Our guide knew the exact species of animals and birds I asked him to identify. And they also knew where to look for the elusive ones. 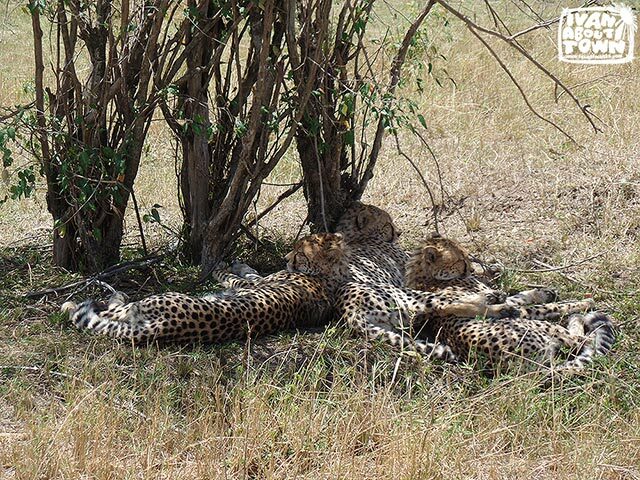 He found a coalition of cheetahs hiding behind bushes! And there was Pumbaa! 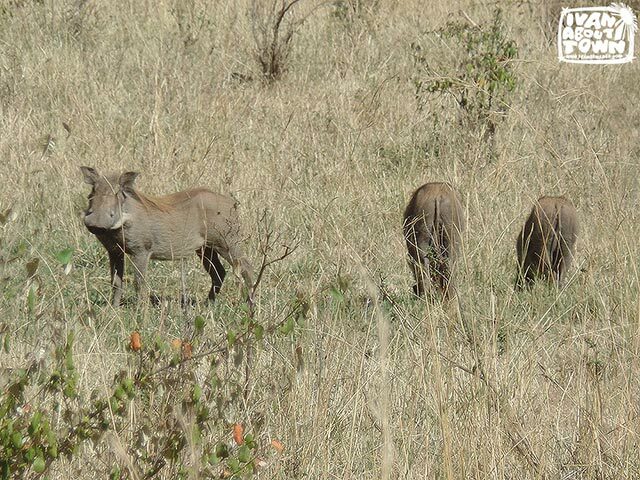 Funny too seeing warthogs walk around. 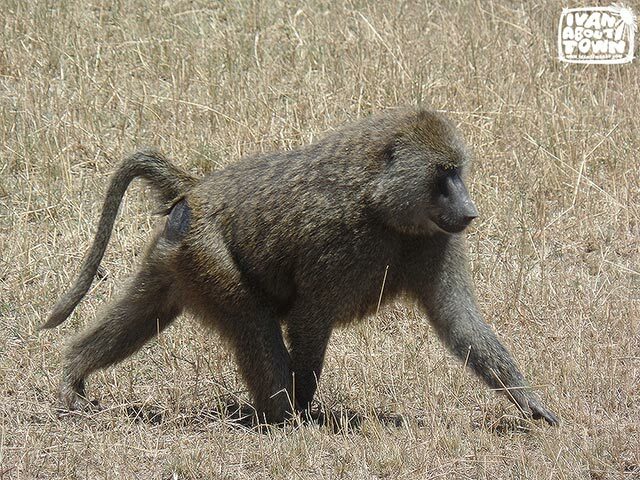 You also won't miss the baboons! And sometimes, you won't even notice they are there. So stay clear of the water! 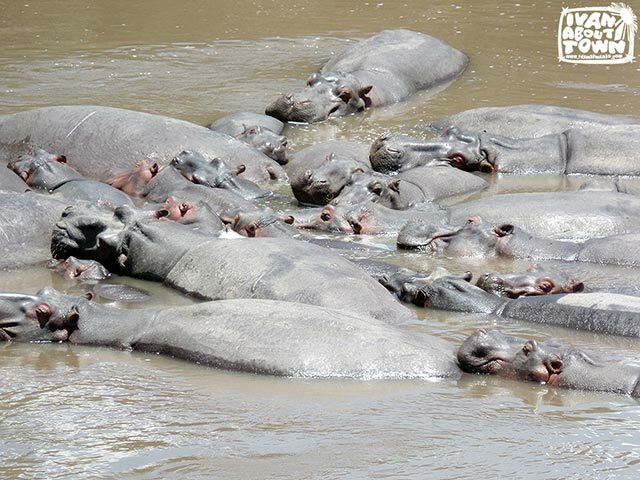 Hippos are not predators. They will kill only as a precaution. 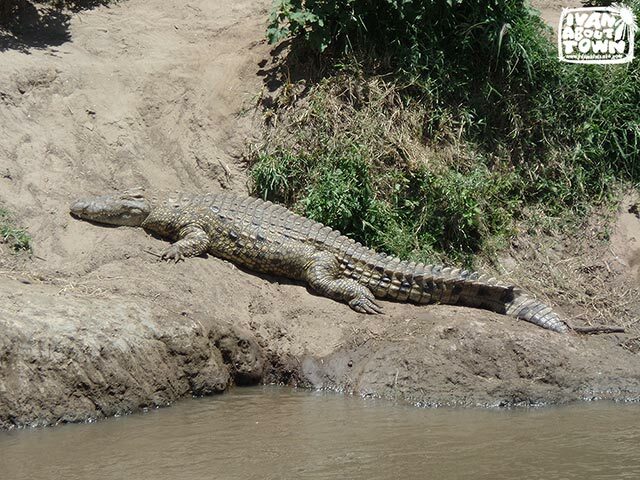 But the waters of the reserve has a real predator, Nile crocodiles. You can also cross the border without passport control! To the left is the Serengeti National Park in Tanzania. 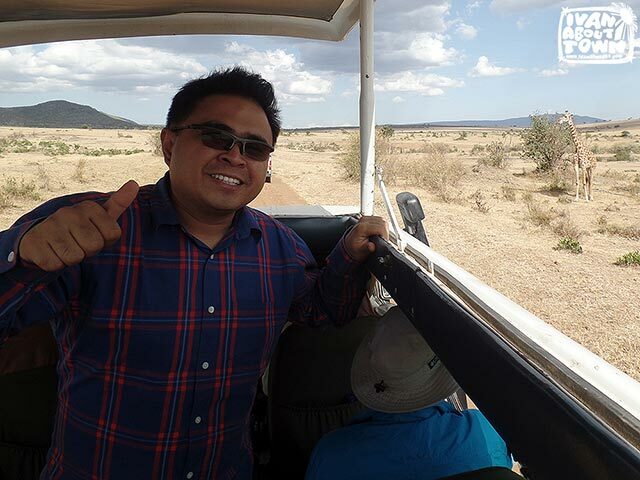 And to the right is the Maasai Mara National Reserve in Kenya. For lunch, we looked for a tree under which the guide laid-out a blanket for a picnic. There was one group that was having lunch near the river. 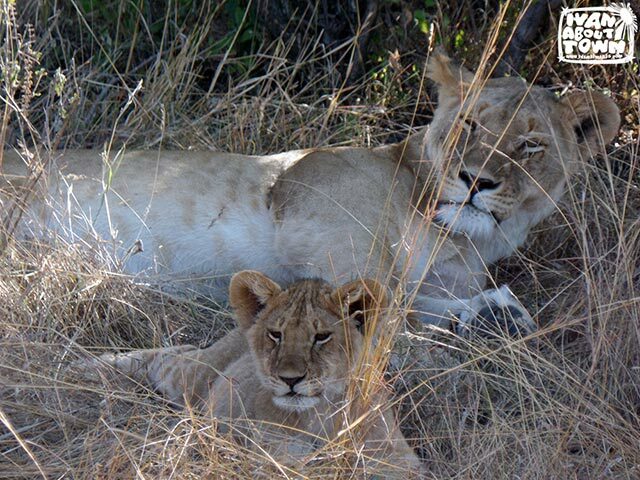 A few meters from their location, we saw a lioness! So watch out where you decide to have lunch. 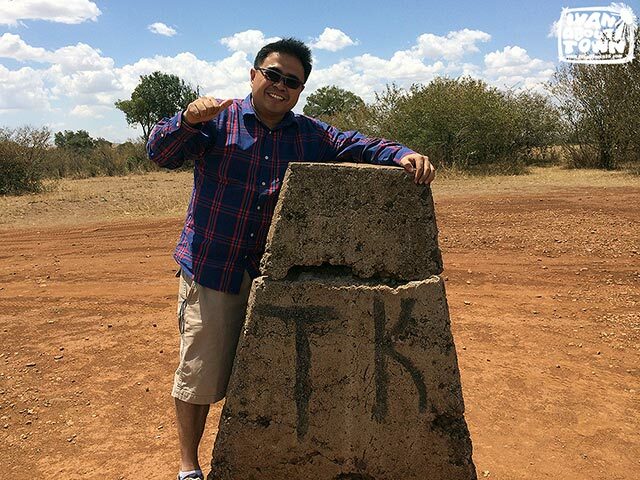 We continued our game drive after the quick picnic lunch. 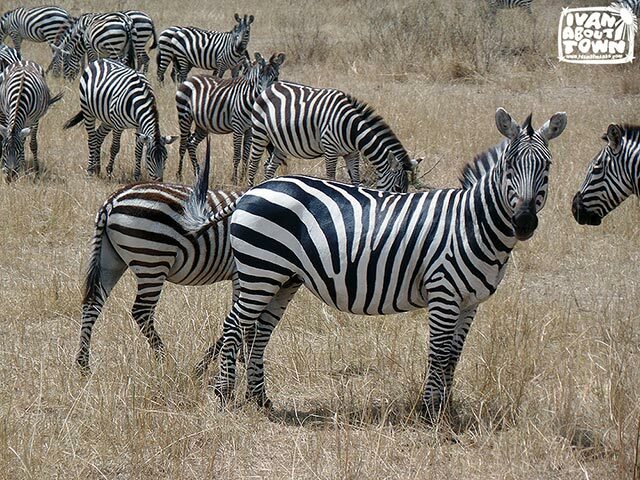 There are just too many zebras. You'll see a lot of them! Now this creature is also hard to find. 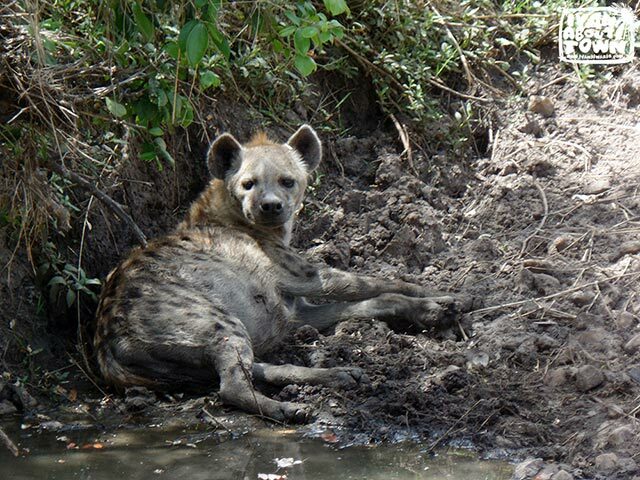 We were lucky to see several hyenas getting some rest under trees, cooling off and escaping the heat of the sun. We also got our selfies with the giraffes. And we saw even more elephants. By late afternoon, we were so tired and full of dust. So we made our way back to our tented camp. As soon as we got back to the camp, I went straight for the bed. The next morning was more of the same. We did another early morning game drive and got to see morning life at the reserve. Good morning, lion! I think we woke him up! 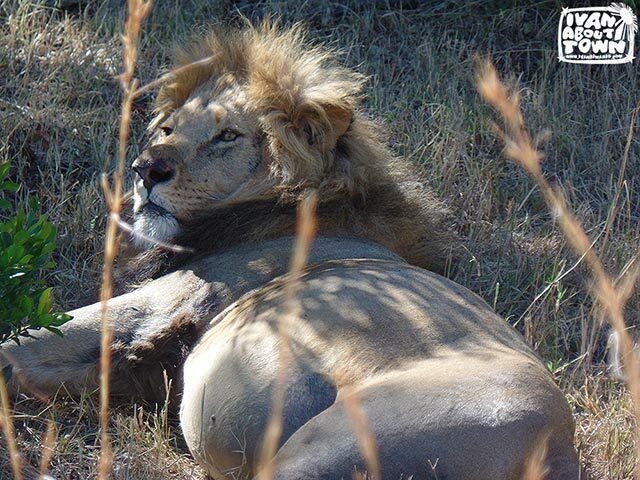 I think this was the same lion we saw on our first day. 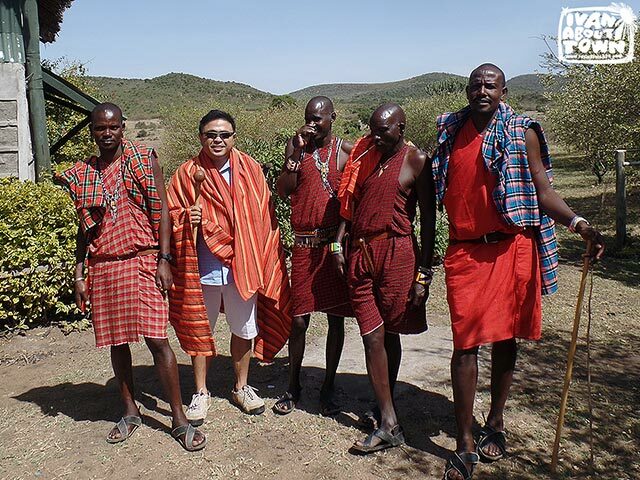 Before leaving the tented camp for the long drive to Lake Nakuru, we had photos taken with the local Maasai. Right before this photo was taken, the Maasai man beside me placed his shuka (garment) on me, gave me his rungu (wooden throwing club), and snap, laughed at how I look. Jambo from Kenya! 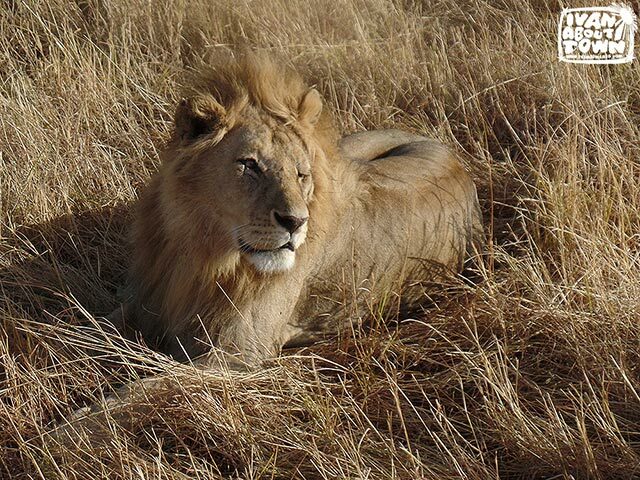 If you're interested to join safari trips to Kenya next year, e-mail me at ivanhenares@redvinta.com. 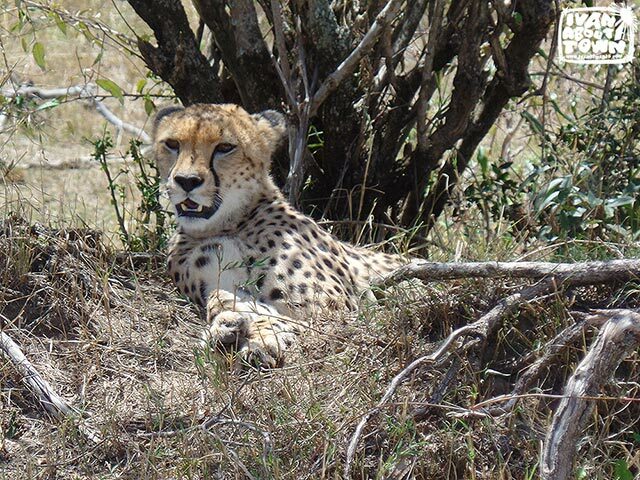 Also check out my Kenya Safari album.